Oh, ice pops, how you make summer heat easier to bear! Making your own popsicles is not only fun, but it also gives you complete control over what goes in them. This recipe from the amazing The Ranch at Live Oak Cookbook, for example, has all the vitamin C you and the kids need as well as being hydrating – and really pretty too! 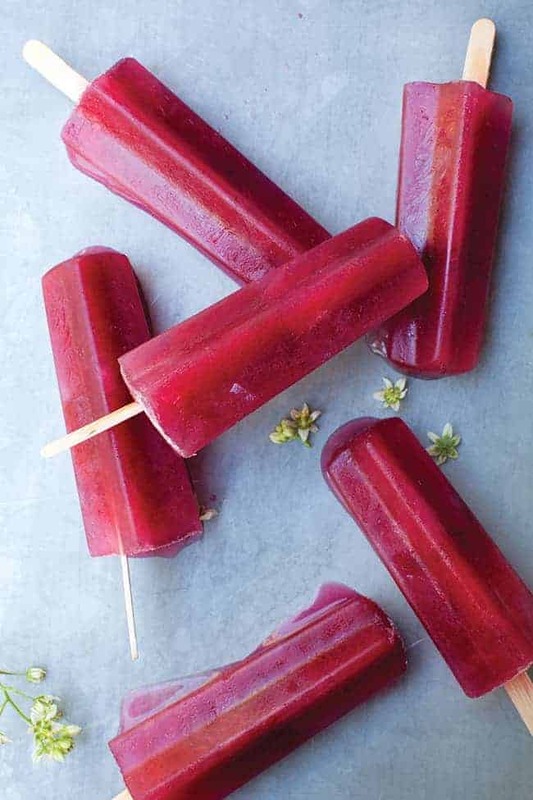 Vitamin C packed ice pops that will refresh even the hottest summer day. In a small saucepan, bring ¾ cup water and the dried hibiscus flowers to a simmer. Turn off the heat and let stand until cool. Pour through a fine-mesh sieve into a bowl. Stir the hibiscus water, agave nectar, and lime zest and juice into the watermelon juice. Pour the juice mixture into ice pop molds and freeze until firm, about 7 hours. Summer detox may be the easiest one: there are fresh fruit and veggies available everywhere, plus the heat makes you want to stay away from hot oil or the oven. This salad can easily become your go-to dinner, and you’ll be happy to see it’s easy to make and super healthy. Greens such as broccoli and spinach are packed with antioxidants and other phytonutrients, which makes eating them fresh a must. Surprisingly enough, mature spinach leaves are even healthier than baby spinach, so pick a nice bunch to make this salad. Enjoy the taste of summer vegetables while also detoxifying your body. Peel the broccoli stem and chop, then chop the broccoli and cauliflower florets with a sharp knife or by pulsing in a food processor. Place the chopped broccoli and cauliflower in a large bowl. Add the carrots, kale, and spinach and mix well. Garnish the salad with the sunflower seeds, pepitas, and cranberries. Serve with purple dressing. In a blender, combine the blueberries and lemon zest and juice on high speed until liquified. In a small dry skillet over a high heat, toast the maca, stirring continuously, for about 30 seconds. Add the toasted maca to the blueberries and combine. Season with salt and pepper. use the dressing immediately. The Ranch at Live Oak Cookbook shares 100 delicious vegetarian dishes from one of the world’s greatest spas, so if you can’t make the trek to Malibu for their luxurious transformation you can at least create a spa experience in your own backyard! On a hot day like today these recipes sound perfect! Salad for dinner tonight for me! Sorry Andrea! 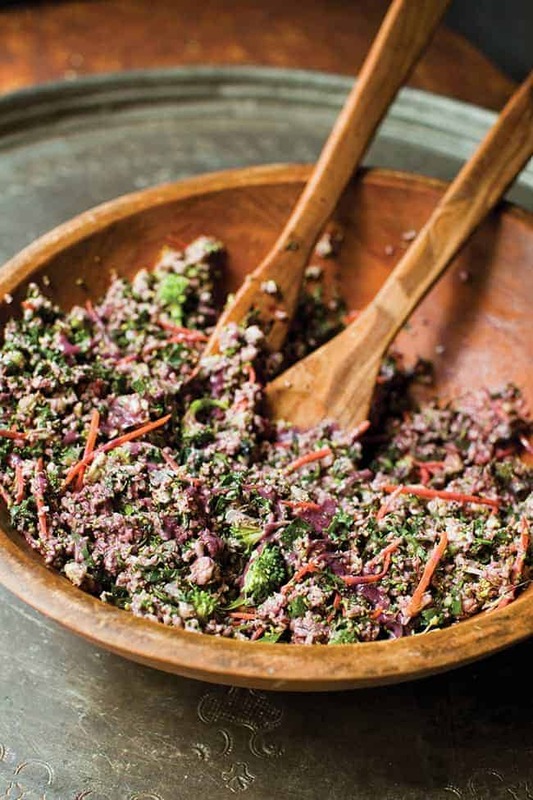 Ingredients & instructions for purple dressing have been added, enjoy!